Boca Lago is a 55+ community located in beautiful Boca Raton, Florida. Active adults can enjoy lush tropical landscaping in this well-established community of 1,696 residences, which are available on a resale-only basis. Boca Lago is divided into eight subdivisions made up of condos, villas, and townhomes that have a golf course, greenery or lake views. Homeowners maintain an active lifestyle in Boca Lago with a great lineup of amenities and activities that keep their social calendar full all year long. Homeowners of Boca Lago enjoy world-class amenities at the Boca Lago Golf & Country Club. Residents can opt to purchase a membership to enjoy all of the amenities found at this beautiful clubhouse. The clubhouse features a health and wellness center where homeowners can stay healthy and fit. The aerobics and dance studio is great for Zumba or yoga sessions. After an invigorating workout, residents can relax in the sauna. The clubhouse has three dining rooms that provide casual and elegant dining as well as a bar and lounge. Other indoor amenities include a card room, game room, ballroom, activities center, and pro shop. Outdoor amenities are sure to please residents and members as well. The community offers satellite pools available to all residents. For members, an outdoor Olympic-sized pool, lap pool and spa can be utilized for a refreshing swim or just to relax under the warm Florida sun. The tiki bar is perfect for grabbing a quick snack or drink while working on your tan. Tennis enthusiasts will love the 20 tennis courts available for casual play. They can also learn new skills by taking lessons from an on-site tennis professional. And if that's not enough, Boca Lago offers 27 holes of championship golf for members. Designed by Bruce Devlin and Robert Von Hagge, the courses are challenging yet perfect for beginners and advanced players. Golf practice facilities and scenic lakes and ponds, as well as plenty of walking and biking trails, round out the amenities at this fabulous complex. 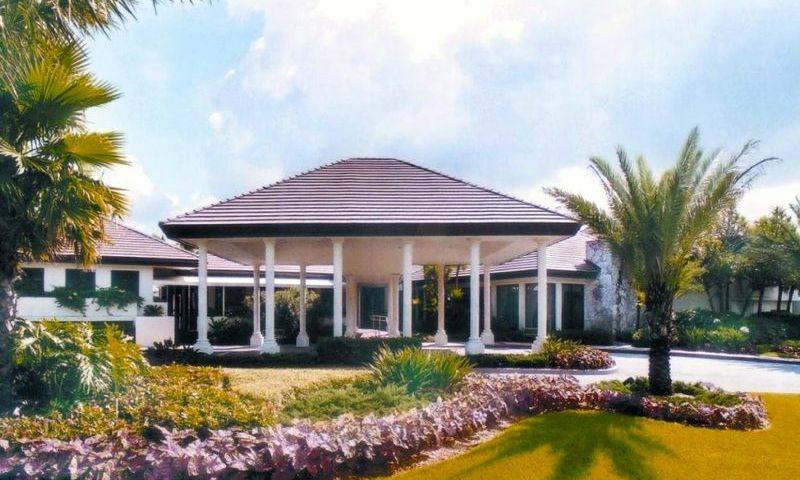 Boca Lago was constructed by Frankel Homes between 1978 and 1990. The community consists of 1,696 residences made up of condos, attached villas, and townhomes. All homes are split among eight subdivisions: Fairways, Greens, Vistas, Palms, Glades, Pines, Cypress, and Horizons. Horizons subdivision is the only all-ages neighborhood within Boca Lago. Condo units can be found throughout Boca Lago. These units range from approximately 1,100 to 2,400 square feet of living space. They have two or three bedrooms and two or two-and-a-half bathrooms. Residents have lot parking in front of the building. Attached villas offer single-level living with approximately 1,300 to 2,900 square feet of living space. They offer two or three bedrooms, two bathrooms, and an attached one-car garage. Two-story townhomes offer about 1,200 to 2,900 square feet of living space. They have two or three bedrooms, two or three bathrooms, and a parking lot space. Homeowners enjoy a low-maintenance lifestyle thanks to the professionally managed association. The fee covers the cost of exterior home maintenance and lawn care, which allows residents to have more time to do the things they want instead of tedious yard work. Residents of Boca Lago have an active lifestyle with many events, activities, and clubs to join. They can socialize at the clubhouse, meet for Happy Hour drinks at the bar, or participate in a club or event. If residents like to run they can join the 200 Miler Club or Fun Run. They can take Tai Chi, yoga, or aerobics classes to stay in shape. Homeowners can take gaming trips or other day trips or have fun at the neighborhood pool parties. The clubhouse offers plenty of entertainment with music and comedy shows as well as lectures and guest speakers visiting the area. Residents won't have to worry about being bored while enjoying access to this socially engaging environment just a few steps from their home. Ideally situated in Boca Raton, Florida, residents of Boca Lago are close to plenty of everyday conveniences. State Route 7 and the Florida Turnpike are only a few minutes away, which makes getting around town a breeze. There are several other golf courses in the area such as Boca Grove Plantation Golf Course, The Club at Boca Pointe, Boca Woods Country Club, and Southwinds Golf Course. There are also 47 miles of white sandy beaches along the coast as well as oceanfront parks that are perfect for hiking, biking, walking, fishing, and boating activities. Residents have plenty of shopping options as well including Home Goods, Lakeside Centre, Boca Lyons Plaza, and Walmart Supercenter just a few minutes away. When traveling farther is required, residents have access to two international airports: West Palm Beach International Airport and Fort Lauderdale-Hollywood International Airport, which are both 30 miles away from the community. With so much to do in and around this active adult community, residents will have many options to stay busy while living at Boca Lago in Palm Beach County, Florida. All residents have access to the satellite pools found throughout the community. There are plenty of activities available in Boca Lago. Here is a sample of some of the clubs, activities and classes offered here. Condo units can be found throughout Boca Lago. These units range from approximately 1,100 to 2,400 square feet of living space. They have two or three bedrooms and two or two-and-a-half bathrooms. Residents have lot parking in front of the building. Please Note: Floor plans are not available at this time. Attached villas offer single-level living with approximately 1,300 to 2,900 square feet of living space. They offer two or three bedrooms, two bathrooms, and an attached one-car garage. Please Note: Floor plans are not available at this time. Two-story townhomes offer about 1,200 to 2,900 square feet of living space. They have two or three bedrooms, two or three bathrooms, and a parking lot space. Please Note: Floor plans are not available at this time. 55places.com is not affiliated with the developer(s) or homeowners association of Boca Lago. The information you submit is distributed to a 55places.com Partner Agent, who is a licensed real estate agent. The information regarding Boca Lago has not been verified or approved by the developer or homeowners association. Please verify all information prior to purchasing. 55places.com is not responsible for any errors regarding the information displayed on this website.